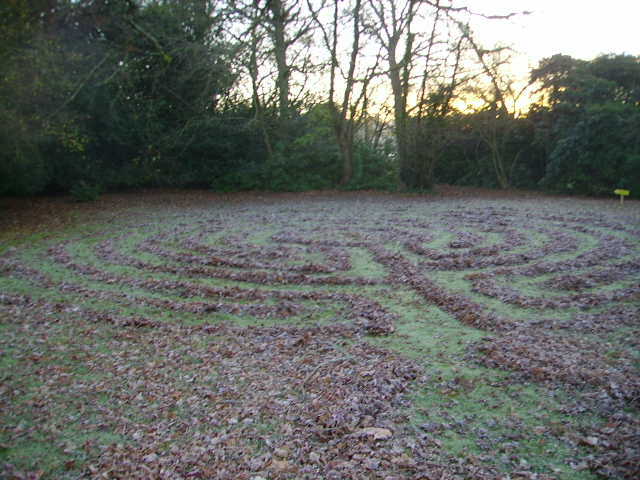 I spend the dull-lighted December afternoon throwing, sweeping, raking, kicking leaf litter off the paths, to the sides where they marked out the ‘walls’ covering the bricks with moist fecund leaf mould. 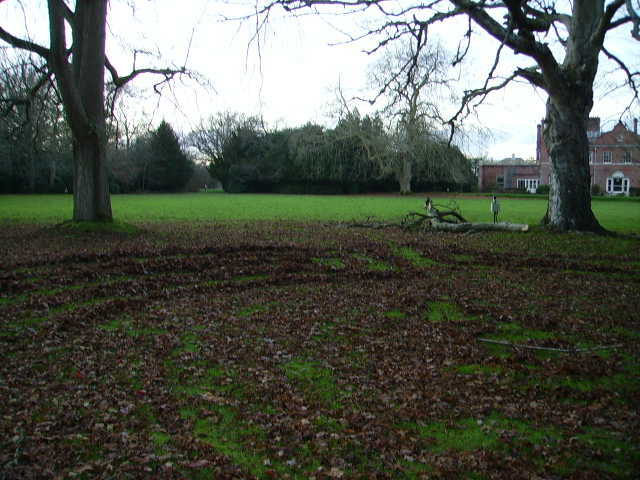 The path was revealed as a swathe of soft green grass. 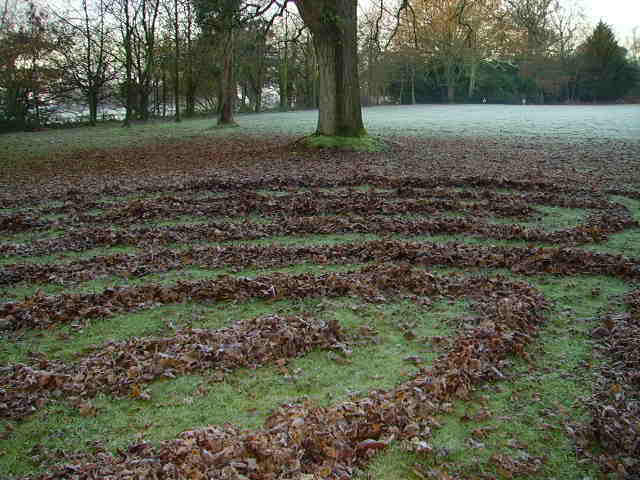 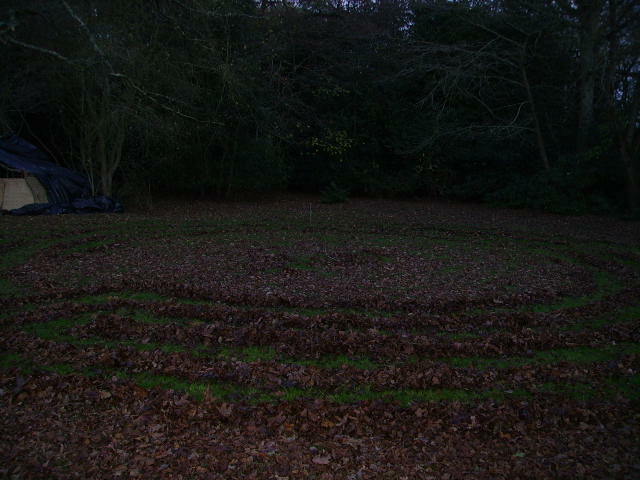 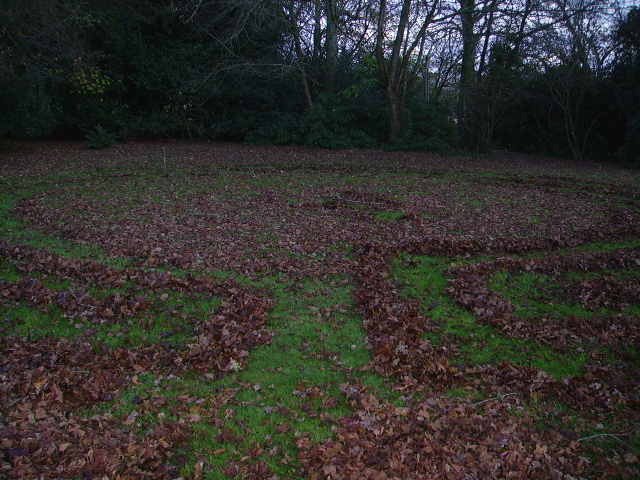 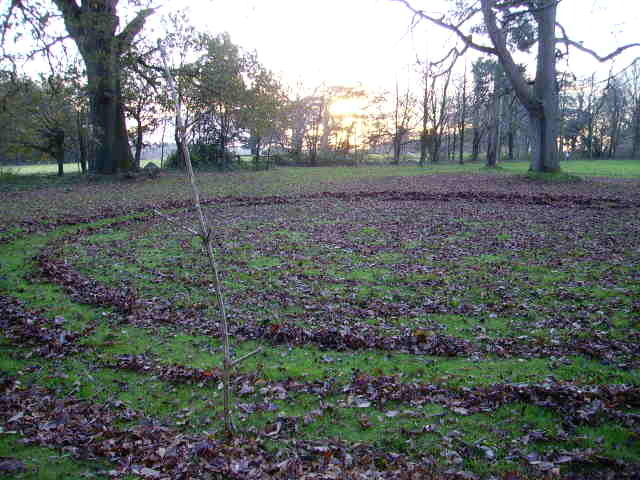 I was finishing the centre as the sun set and I walked the newly cleared labyrinth at twilight. 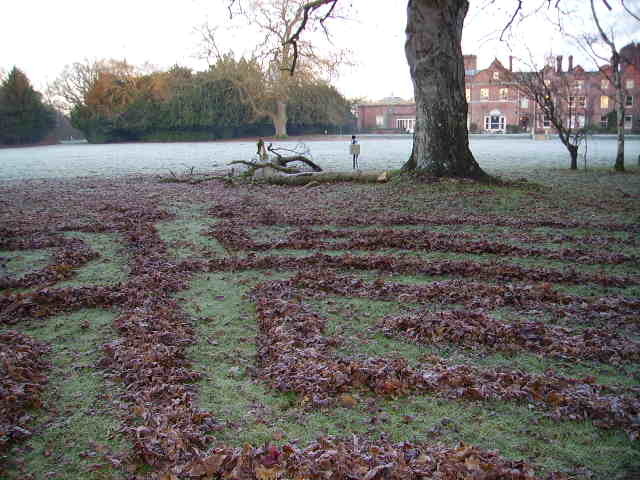 Next morning the scene was bejewelled with frost.